The UFC Wichita bonuses, live gate and attendance have been released. The co-main event saw Elizeu Zaleski dos Santos make short work of Curtis Millender. Going into the fight dos Santos was the 14th ranked UFC welterweight. While Millender wasn’t ranked, he is a surging prospect who dos Santos submitted with ease in the opening frame. Taking home a $50,000 bonus for “Performance of the Night” was Niko Price. He had a short barn burner with Tim Means. While things were looking bad for Price early as he had a busted nose and was being peppered with combos, he landed a vicious haymaker and followed up with ground-and-pound to put Means’ lights out. Also picking up a “Performance of the Night” bonus was Beneil Dariush. He took on Drew Dober on the main card of UFC Wichita. Dariush was on the receiving end of some heavy shots in the fight, but his chin held tough. He was able to submit Dober via armbar. As far as attendance is concerned, UFC officials announced that the event drew 7,265 fans. A live gate number came out to $636,417. 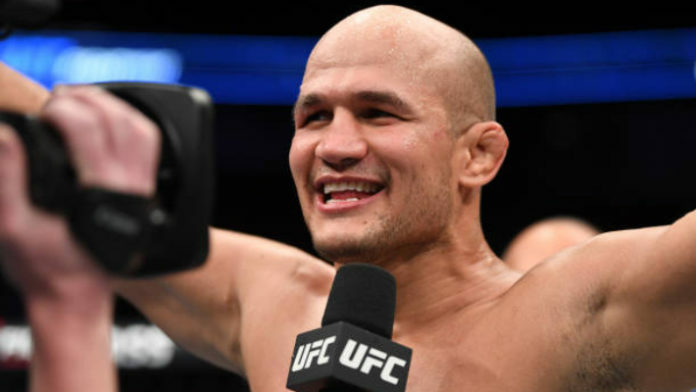 MMA News has you covered with results, highlights, and post-fight tidbits from UFC Wichita. Be sure to keep checking the homepage for the latest news. Do you agree with the UFC’s choice of bonus winners?